As regular listeners to the Fanboy Planet Podcast know, San Jose’s award-winning Cinequest film festival opened last night. Opening night at Cinequest typically features an independent film that has or is expected to shortly gain general distribution, and last night’s film Krystal, featuring Rosario Dawson and actor/director William H. Macy should be no exception. But yeah, unless you were there, you missed it. Sorry. Well, you can browse the program guide, if you have the time. Note the ones that sound interesting. Head down to the festival and discuss them with other film lovers, and sometimes just take a chance. It’s not uncommon for a long conversation between strangers at Cinequest to start with “what film are you looking forward to?” Because at its heart Cinequest is two weeks where a community of film lovers gathers, enjoys films and each other’s company, and occasionally makes a few new long-term friends. 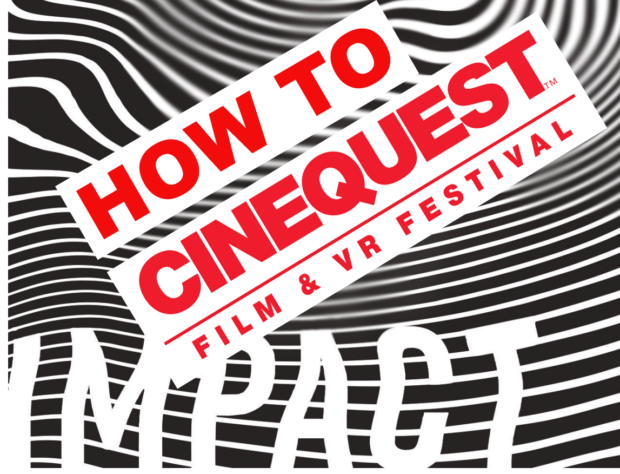 Cinequest is also an opportunity for audience and creators to mingle. That guy sitting next to you might be the director of this film, or may give you a postcard advertising his film that’s showing later in the day. If you’re a film fan, the opportunity to discuss what went right and wrong, what you loved or didn’t, and to get feedback from the creators themselves, is a terrific experience, often for them as well. People involved in independent film are doing it all for the love of the subject matter and the art.